Seems that the tolerance Twitter has for Left vs Right is a bit more imbalanced than we had previously thought. On Saturday, Twitter user @TrueJackDaniel hammered Maxine Waters after she accused Americans on Twitter of being ‘Russian bots.’ He wrote that Maxine Waters is a lunatic and trolled her over her wig. But Twitter supports freedom of speech as long as it suits Democrats… so, Twitter suspended him. “Nobody believes a crazy old lying lunatic in a bad wig.” he tweeted, which he says resulted in a 7-day suspension. 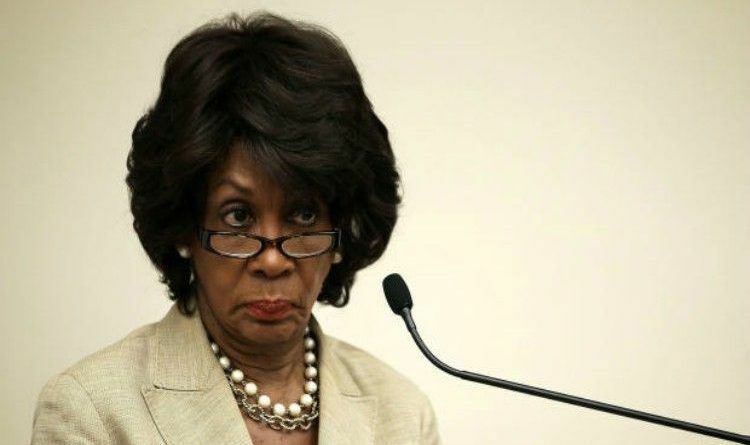 So basically, Twitter is suspending people for telling the truth about Maxine. However, Twitter does not suspend any of the crazy leftists for the constant insults to president Trump. The Left needs to be slapped down, and who better to do it than James Woods? He showed no mercy and destroyed Maxine Waters with a short, to-the-point tweet! Love James Woods’ ability to shut the crap down! He has never been what you would call mellow. He has always been a firebrand personality who walks to the beat of his own drum corp. I am glad he is turning his great mind to our side. James Woods won the internet today! Keep on tweeting James, you have much love and support out here. What do you think of Wood’s tweets? Share this article if you like the way James Woods handled whiny Waters!